We discovered, on the first day of the trip and to its organizers’ deep consternation, that I was the only member of the press contingent who actually drank Scotch. The others had just been told by their editors that they would take this trip and write the story. Those were the days when “life style” articles were thought to require no expertise: How the world has changed! Anyhow, that left it up to me to take one for the team – every day. I did so happily, and enjoyed the Highlands thoroughly, and – oh yes! 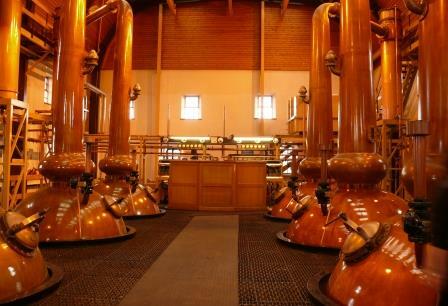 – learned quite a bit about fine Scotch whisky. Before that trip, I had liked single malts. During it, I developed a passion for them that stays with me to this day. 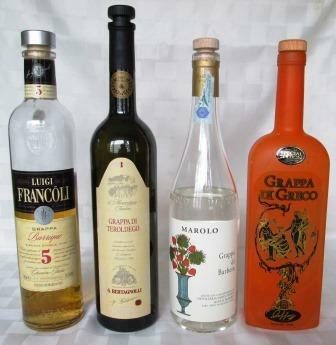 Many evenings, I will happily choose a good Scotch – by which I definitely mean a single malt – for my post-prandial digestive, even over my beloved grappa. It always surprises me to find how many wine lovers think it’s somehow wrong to finish a meal with a whisky. Perhaps it’s some sophisticated echo of the old wino’s fear of mixing “the grape and the grain,” which schoolboys probably still think will make you sick – at least they did when I was a schoolboy. Nothing could be further from the truth. Single malts are as refined and as varied (even more, truth to tell) as Cognacs and Armagnacs, and almost as numerous and as highly differentiated as grappas. 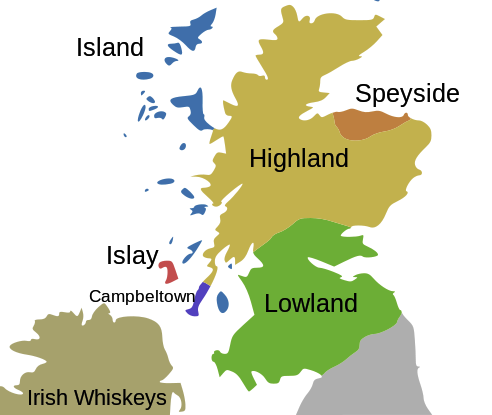 But Speyside is just a small part of the Highlands, and fine single malts are made all through there – The Macallen is a great one – as well as in the Lowlands, Campbeltown, the islands, and Islay. The latter is probably my very favorite source of Scotches. All the Islay whiskies are marked by intense peatiness and brininess – the aroma, as my wife remarks, wrinkling her nose in distaste, of smoky beach fires and long-weathered seaweed. 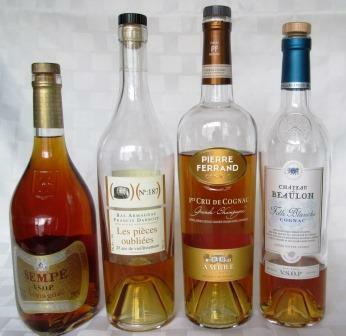 For most people, that’s enough to send them back to cognac, but for confirmed single malt drinkers, it’s sheer bliss. 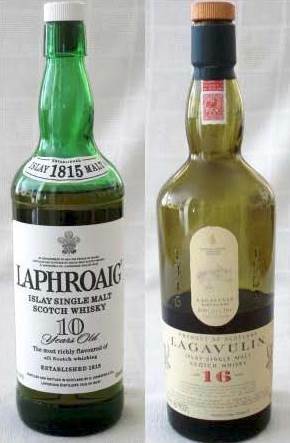 Laphroaig and Lagavulin have comforted me on many a chilly winter night and eased along that one-too-many tiny last slice of leg of lamb or apple pie. Islay is the only one of the numerous islands off Scotland’s western and northern coast to have its own recognized appellation, but the other islands also produce notable whiskies – especially Talisker, the only whisky produced on the Isle of Skye, a fabled spot in Scottish history. It was to Skye that Bonnie Prince Charlie fled in 1745 after the disaster of Culloden (massacre, Scots still call it), and it was from Skye that with the aid of its ancestral lairds, the MacDonalds, he escaped to France, leaving behind an abiding nostalgia for “the king over the water,” some beautiful folk songs, and the recipe for Scotland’s national liqueur, Drambuie. 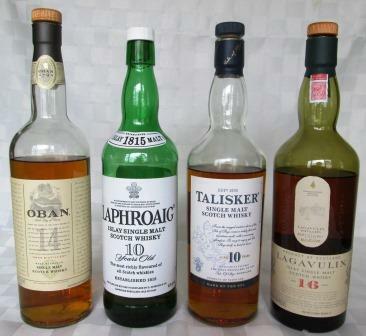 All single malt distilleries bottle different versions of their whiskies at different ages. I prefer the relatively younger ones – between 10 and 16 years of age – because I find that beyond that they become a bit over-refined. I like them still with a bit of fire, and tasting more of where they came from than of the barrels they’ve been aging in. That’s what makes them so different from each other and so endlessly fascinating. * Correction: Oban remains complex and smooth, but it’s not from Speyside. It’s a Highland whisky, as Ole Udsen points out in his comment.